PPPI is internationally recognized as an objective intermediary between the public sector, private sector and academia. Its engagements span four continents in countries of varying backgrounds, including Lesotho, China, Saudi Arabia, and Singapore. Prof. Trager also served as a technical expert to the World Health Organization’s Independent High-level Commission on Non-Communicable Diseases. His contributions can be seen in the Commission’s technical consultation report and final report. China and Singapore are two vastly different drivers of the Asian and global economies. While their differences on paper are stark—the former is a still-developing economic giant while the latter is an established high tech city-state—they face many of the same healthcare challenges. 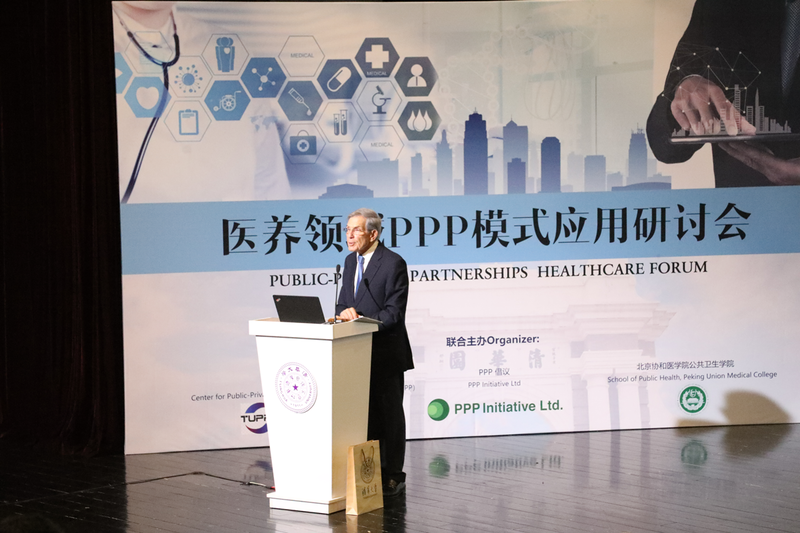 PPPI’s work in China and Singapore has convened leaders and decision makers from the public sector, industry, civil society and academia in a series of forum events across 2017 and 2018 to expose them to the potential benefits of using public-private partnerships to address pressing healthcare issues. Both nations are facing rapidly changing societies and large imbalances in supply and demand, driven by megatrends including rural to urban migration and an aging population. PPPI’s forums were cohosted by the National University of Singapore and Tsinghua University in Beijing, China. Within NUS, support was received from the Lee Kuan Yew School of Public Policy and the Saw Swee Hock School of Public Health. At Tsinghua, PPPI received support from Peking Union Medical College, Tsinghua University Center for PPP, and the School of Public Policy and Management. Public-private partnerships are rooted in collaboration between sectors and often across borders. At PPPI’s May 2018 forum in Singapore, the two participating schools of public health—NUS’s Saw Swee Hock and Tsinghua’s Peking Union Medical College—signed a Memorandum of Understanding creating a research partnership between the two schools to address common issues facing both nations in healthcare, including eldercare and the growing incidence of non-communicable disease. “It is a real delight that the PPPI forum in Singapore has provided the opportunity for the two leading public health institutions in Singapore and China to forge an alliance to improve population health in Asia. PPPI’s work in the Kingdom of Saudi Arabia dates back to Prof. Trager’s time at Johns Hopkins University and a PPP workshop conducted for the Johns Hopkins Aramco healthcare systems joint venture in 2017. Since, PPPI has returned twice to Saudi Arabia to conduct PPP capacity-building and advanced negotiation workshops for multiple stakeholders, including the Ministry of Health, Vision Realization Office and the National Center for Privatization and PPP. These sessions emphasized the relationship between negotiation and PPP as it relates to Saudi Arabia’s “Vision 2030” framework and a goal to increase participation by the private sector. Workshop participants receive sophisticated training that they will be able to apply to PPP negotiations in Lesotho. 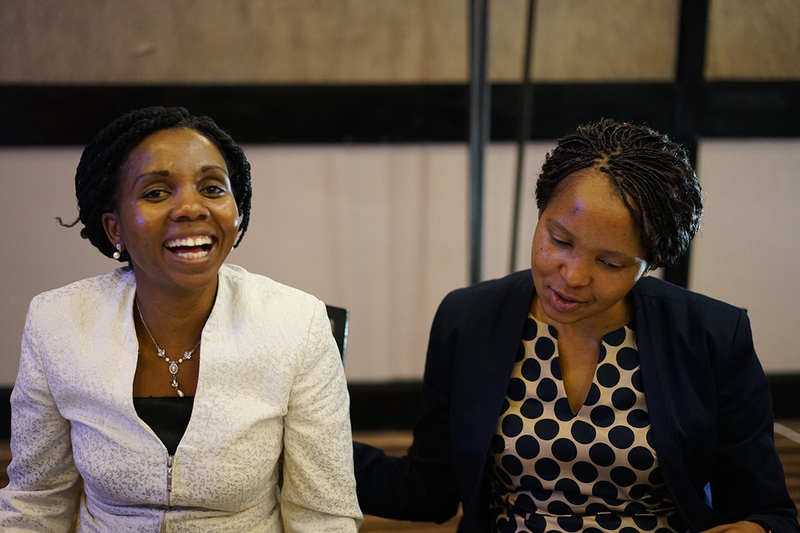 PPPI conducted a series of Advanced PPP Negotiation Workshops in Lesotho, designed specifically for the Ministry of Planning and Development and the Ministry of Health. Like all PPPI workshops, the training gave Lesotho’s public sector leaders the advanced negotiation, critical thinking and communication skills necessary to succeed in PPP. The training was funded by the World Bank using a Technical Assistance grant to build capacity for Lesotho leaders to develop and manage the nation’s large, integrated healthcare PPP project. Alan M. Trager has also taught executive education courses in Georgia, Kenya, and South Africa for the Leadership Academy of Development (LAD) to build cross-sector capacity and motivate the use of PPP for economic growth and development.